A date and nut based sweet sprinkled with desiccated coconut. 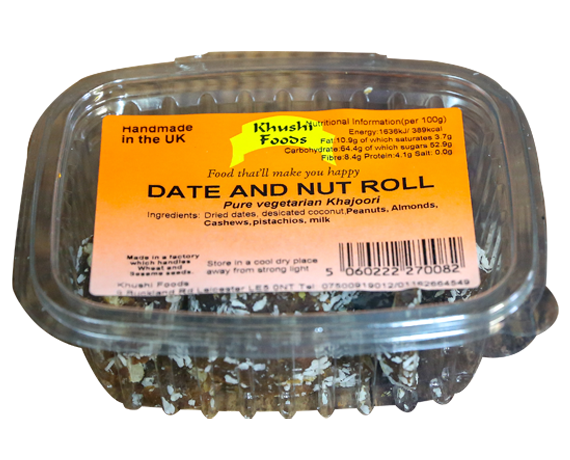 Our Date and Nut roll is made from the finest of ingredients including pure butter ghee. Dried dates, desiccated coconut, peanuts, almonds, cashews, pistachios, milk. Suitable for vegetarians. Contains milk, nuts and wheat flour. Suitable for farari. Made in a factory which handles sesame.